"Some people, when they discover the terrible things that happened in their past, drape that knowledge around them like a cloak of bitterness. They may even dig deep and wallow in it for a season. Or a lifetime." I have come to the realization that I love books that jump back and forth in time. 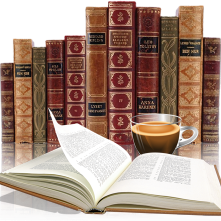 Books that create that atmosphere of mystery, of forbidden love, and secrets too long hidden. Throw in some hidden diaries/journals and I am in my happy place. There are a number of authors out there that do a wonderful job with this (is there a genre name for this?) and Melaine Dobson has turned into one of my favorites. Her previous book Chateau of Secrets was a favorite of mine in 2014. It only took me a couple days to read Shadows of Ladenbrooke Manor. As you can read from the synopsis above there is a lot going on here. Staying true to the time periods this story flowed along smoothly, the author definitely knows her way around the English countryside. Her descriptions had me visualizing not just the Manor with it's lush gardens and the butterflies, but the surrounding area as well. The plot was intriguing, there were enough twists and turns that I didn't see coming. Maggie, Libby and Heather were all interesting characters, they were unique and realistic, there was that depth that I love. I got to know each of these ladies, the author made me care for them and what was happening in their lives. This is a book about love and forgiveness, about relationships and healing the past while you still can. This is Christian Fiction but not overbearing and preachy. 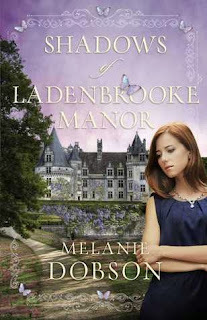 Shadows of Ladenbrooke Manor was a pleasure to read and will appeal to fans of Kate Morton and Lucinda Riley. Thank you Netgalley for providing me with an arc. This sounds really good and I've just recently become a fan of Lucinda Riley so I think I'd like this one as well. Great review!